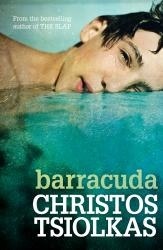 This week The Telegraph in collaboration with WHSmith is offering reader the novel Barracuda by Christos Tsiolkas, which has been newly released in paperback, for just £2.99 instead of the normal price £7.99. The novel is available between Thursday, June 19 and Wednesday, June 25, or can be obtained by bringing in one of the printed vouchers published in the paper on Thursday, June 19 or Saturday, June 21. Barracuda features a talented young swimmer named Daniel Kelly, who has a chance to escape his working-class upbringing and gain fame and fortune, thanks to His astonishing ability in the pool, as well as enabling him to get his own back on the rich boys at the private school to which he has won a sports scholarship. But this has been done at a cost to his family, his friends and his sense of what is right. Everything Danny has ever done, every sacrifice his family has ever made, has been in pursuit of his dream. However after getting a disappointing result at his first big international championship . Danny discovers that he can’t always achieve what he sets out to do, and the shame that comes with this is the subject of his struggle. Subsequently he begins to destroy everything he has worked so hard for and turns on everyone around him who tries to help him. In addition He is also struggling to come to terms with his sexuality He is gay in a group of straights, working class in a group of well-to-do boys, and sometimes wishes his parents were more like those of his new friends. Danny ends up asking himself who do you trust in this life: your mentors, your parents, your friends? Are they all doing just what they need to do to get ahead? Cutting between the boy’s life and that of the adult man many years later, still angry at the world but more comfortable in his skin and with himself and his sexuality. Barracuda is a novel about dreams and disillusionment, friendship and family, which tells a story of class, race and identity and of a teenager who after seemingly losing everything, eventually comes to realize what it means to be a good person and that his strongest identity lies in family and friends. Best known as the keyboard player and percussionist with rock band Guns’n’Roses Rock musician Dizzy Reed was born 18 June 1963. Dizzy Reed has played, toured, and recorded since 1990. Aside from frontman Axl Rose, Reed is the longest-standing and only member of Guns N’ Roses to remain from the band’s Use Your Illusion era. In 2012, he was inducted into the Rock and Roll Hall of Fame as a member of Guns N’ Roses, although he did not attend the ceremony. Guns’n’Roses formed in Los Angeles, California, in 1985. The classic lineup as signed to Geffen Records in 1986, consisted of vocalistAxl Rose, lead guitarist Slash, rhythm guitarist Izzy Stradlin, bassist Duff McKagan, and drummer Steven Adler. During their turbulent career Guns N’ Roses gained a reputation as “The World’s Most Dangerous Band”and Today, Axl Rose is the only remaining original member, in a lineup that comprises Use Your Illusion–era keyboardist Dizzy Reed, lead guitaristsDJ Ashba and Ron “Bumblefoot” Thal, rhythm guitarist Richard Fortus, bassist Tommy Stinson, drummer Frank Ferrer, and keyboardist Chris Pitman. The band has released six studio albums to date, accumulating sales of more than 100 million records worldwide, inluding shipments of 45 million in the United States,making them one of the world’s best-selling bands of all time. 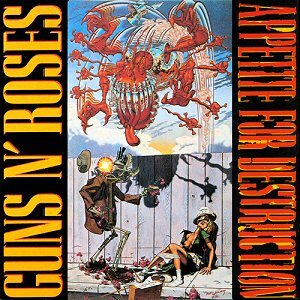 A year after its release, Guns N’ Roses’ debut album Appetite for Destruction (1987) reached No. 1 on the Billboard 200, on the strength of the hit “Sweet Child o’ Mine”, their only single to reach No. 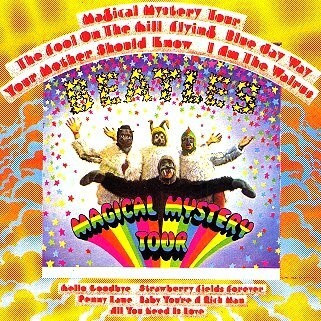 1 on the Billboard Hot 100.The album has sold in excess of 28 million copies worldwide,including 18 million units sold in the United States, making it the best-selling debut album of all time in the U.S. The success of their debut was followed by the eight-song album G N’ R Lies (1988). The twin albums use Your Illusion I and Use Your Illusion II (1991) debuted at No. 2 and No. 1 on theBillboard 200 and have sold a combined 35 million copies worldwide,including 14 million units sold in the United States alone.The cover album “The Spaghetti Incident” (1993) was the band’s last studio album to feature Slash and McKagan. After more than a decade of work and many lineup changes, Guns N’ Roses released the long-awaited album Chinese Democracy (2008) which, at an estimated $14 million in production costs, made it the most expensive album to ever be produced in music history.It debuted at No. 3 on the Billboard 200 but underwhelmed industry expectations, despite mostly positive critical reception. ones. Sadly Guns’n’Roses imploded after much in fighting and ex-members McKagen, Stradlin and Slash went on to do their own thing. Stradlin returned to his hometown of Lafayette, Indiana, and formed the band Izzy Stradlin and the Ju Ju Hounds, which consisted of Stradlin on vocals and rhythm guitar, Rick Richards of Georgia Satellites on lead guitar, Jimmy Ashhurst of Broken Homes on bass, and Charlie Quintana on drums. Slash formed the super group Velvet Revolver with his former Guns N’ Roses band mates McKagen and Matt Sorum and released the albums Slash’s Snakepit and Apocalyptic Love.Andrew “Duff” McKagan also released a solo album, Believe in Me (1993), and formed the short-lived supergroup Neurotic Outsiders, he also briefly reunited with his pre-success Seattle punk band 10 Minute Warning and then formed the still-active hard rock band Loaded, with whom he performs lead vocals and rhythm guitar. The band’s classic lineup, along with later members Reed and drummer Matt Sorum, were inducted into the Rock and Roll Hall of Fame in 2012, their first year of eligibility.Guns N’ Roses were credited with reviving the mainstream popularity of rock music, at a time when popular music was dominated by dance music and pop metal.Their late 1980s and early 1990s years have been described as the period in which they brought forth a “hedonistic rebelliousness” reminiscent of the early Rolling StOnes and Rose has also been named one of the greatest singers of all time by various media outlets, including Rolling Stone and NME.